4. Anti-Christian line removed from Bellow's translation, Singer's "Gimpel the Fool," 1945, Yiddish with translation. From resource kit: Isaac Bashevis Singer's "Gimpel the Fool"
In the original Yiddish story, this line follows a line translated as, “That was how it was; they argued me dumb. But then, who really knows how such things are?” According to Janet Hadda’s biography of Singer, this line was purposefully omitted by Eliezer Greenberg, who helped Saul Bellow to translate the story, along with a couple smaller “anti-Christian references.” “Yoyzel” is a playful, sometimes insulting, diminutive form of Jesus’ name in Yiddish. Suggested activity: Show students the line (and play the audio clip), and note where in the original story it appeared. Parse out its meaning in the story. Ask them why they think the translators would have removed that line in 1953. Sources: Yiddish original: Yitshok Bashevis, Gimpl tam un andere dertseylungen (New York: CYCO, 1945), 5-17. English translation: Isaac Bashevis Singer, trans. Naomi Seidman, “Who’s the Fool? Isaac Bashevis Singer in America,” Pakn Treger (Summer 2004). 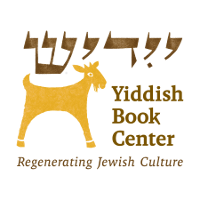 Audio: Aba Igelfeld reading the work of Isaac Bashevis, Gimpl tam un andere dertseylungen, Yiddish Book Center’s Sami Rohr Library of Recorded Yiddish Books (<https://archive.org/details/IsaacBashevisSinger-GimplTamUnAndereDertseylungen>, accessed March 1, 2016).